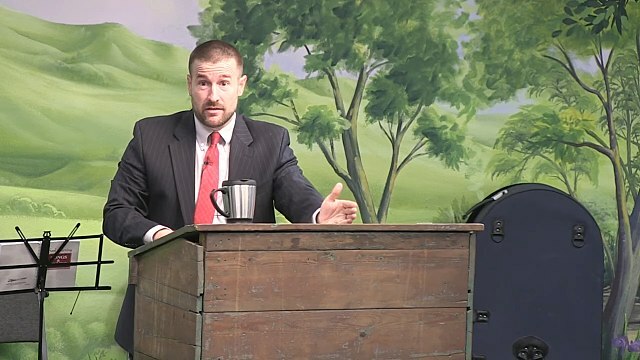 Jamaica (GV) – Human rights activists, online campaigners — and many other Jamaicans — were pleased with the government’s recent decision to deny entry to American fundamentalist pastor, Steven Anderson. While concerns regarding free speech linger, it was not just the Lesbian, Gay, Bisexual, Transgender (LGBT) lobby that expressed satisfaction at the decision to keep out Anderson, who has a reputation for extreme homophobia, and preaches a volatile stance against homosexuality. News of the ban (Jamaica is the fifth country to have done so) broke via the change.org website on January 29, 2018. The petition to deny Anderson entry to the island, which was started by a Jamaican gay rights activist, had garnered 38,682 signatures by that date. The petition website posted a video from Anderson, informing viewers that during a layover in the United States on his way to Jamaica, he learned that he would not be allowed to enter the country. In the video, Anderson expressed surprise, as he was under the impression that Jamaica was “the most homophobic country in the world” and that Jamaicans would therefore welcome him. “Obviously this was an outside influence,” he said, inferring that the Jamaican government was pressured to make the decision, against the wishes of its people. Unless the Jamaican Government is prepared to license the execution of those deemed gay, his banning, quite naturally, strikes a chord of sense and sanity, as well as advancing the Government’s interest of security of all citizens. The Jamaican Government has historically failed to protect the rights and dignity of countless gay Jamaicans. In one of the few notable moments that it has, as seen with the Anderson ban, can we not mar this occasion with mechanic logic and vacuous claims of free speech denial, but instead applaud the Government’s resolve to value all its citizens’ welfare? One domino effect of the Jamaica ban might be the enhancement of Anderson’s celebrity status among his followers — or at least, the pastor seems to be trying to steer the narrative in that direction. After booking another flight to a “different Caribbean country”, he began a contest on his blog: “Where in the world is Pastor Anderson?? ?” He also posted a series of memes on his Facebook page, about being banned from Jamaica — including one quoting the government as saying, “Pastor Anderson’s comments are not conducive to the current climate”. However, via the posts on Anderson’s Instagram page, it became clear that some of his followers had travelled to Jamaica ahead of his scheduled arrival, and had apparently done some preaching at a school. It was subsequently revealed that a venue at the University of the West Indies (UWI) campus had been booked — through an unnamed local church — for an Anderson-approved film screening scheduled for February 2. The university was at pains to disassociate itself from the event, and quickly withdrew its permission. Now there are some who are displeased that ‘Pastor’ Anderson was banned from Jamaica and speak about the powerful agents of the LGBTQ who have triumphed in stopping him with a petition signed by nearly 37,000. I am neither member of J-FLAG nor a powerful figure but I signed it out of the common humanity shared in the fact that we don’t facilitate someone who advocates for the death and murder of others they hate. Hell No! That should be a no-brainer. […] Free Speech does not give anyone the right to perpetuate evil and hate, especially in a state where crime, violence and hate is common among some people. Jamaica should be praised having shown signs of positive change from its days of ignorance! There is no doubt that the pastor’s aborted visit has sparked an interesting, well reasoned — and perhaps necessary — national online debate on democracy, freedom of speech and the limits of hate speech, and human rights. But Anderson is quickly falling off the radar as Jamaicans remain preoccupied with a range of security issues that shows no signs of going away as quickly as the American pastor did.